We aim to share our 15 years of Expert Knowledge on Skin Treatments. Below are some Frequently Asked Questions about the LED Phototherapy Light Mask Therapy Treatment to help you understand if the treatment is right for you, but please remember we can answer any more detailed questions at a complimentary Free consultation or over the telephone with one of our clinical experts, just call us on 01376 584555. “See the Light!” This is Hollywood’s favourite skin rejuvenation light therapy mask, which at Facial Aesthetics we combine with many of our other treatments to stimulate a natural cellular response, which soothes and calms the skin. How does the Déesse LED treatment work? Having undertaken a Visia Skin Analysis we can provide a targeted treatment plan, where typically we use the Déesse LED treatment at the end of a combined treatment. Whilst relaxing on the couch the face mask is rested on the face providing a perfect end to any treatment. The Déesse Pro uses low level light therapy by way of high quality surface mounted Light Emitting Diodes (LED) in 5 different wavelengths to expose the skin to clinically proven treatment modalities these include. Anti-Ageing (Red light) – Which increase collagen and elastin, helping reduce fine lines and improving the skins texture and tone. Recovery (Red & Blue Light) – The Recovery mode is a great post procedure mode, promoting healing and stimulating cellular renewal and repair. Rosacea (Green & Blue Light) – This is a great treatment mode when combined with other treatments such as Thread-vein treatment, as it calms inflammation and redness. Because the mask lies directly onto the skin the LED frequency affords a faster and more direct absorption of the rejuvenating light technology. What are the benefits of the Déesse LED treatment? Déesse Pro stimulates natural cellular responses, it is generally recommended to have a course of treatments leading to skin rejuvenation and improvement in the following common skin complaints. How often should I have a Déesse LED Treatment? We recommend receiving a Déesse pro treatment in combination with other treatments every 30 days to enhance and maintain the health of your skin. However, Déesse Pro LED treatment is gentle enough to receive weekly or even daily. Is Déesse LED right for me? The Déesse Pro Phototherapy can be used for a multitude of medical skin complaints and in particular we have found it to be successful as a combined treatment. •	Are under certain medications. Are there any side effects from the Déesse LED Treatment? There have been no reported side effects in over 1700 publications. The Déesse phototherapy mask is a Non-thermal treatment modality and does not damage the skin integrity. There are minimal side effects and is suitable for all skin types. How long does the Déesse LED treatment take? The Déesse Phototherapy treatment is the epitome of relaxation, lulling you off into a relaxing calm the warmth from the LED mask is quite simply divine. How much does the Déesse LED treatment cost? 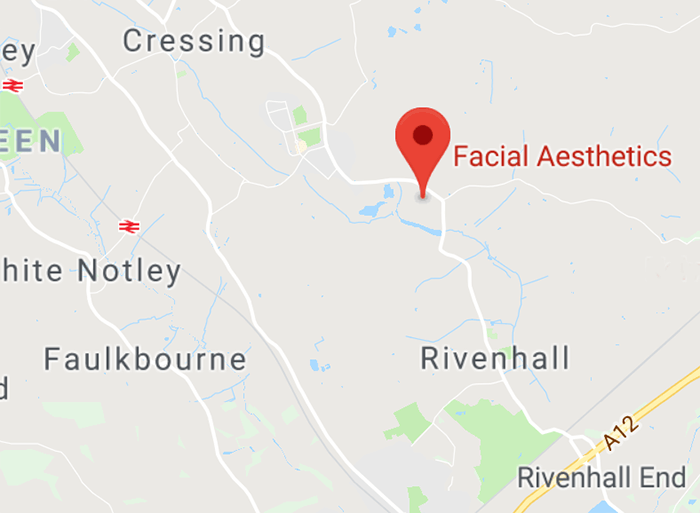 At Facial Aesthetics we generally combine the treatment with other treatment modalities, but prices for a standalone treatment start at £30 for 15 minutes. What do I need to do after having a Déesse LED Treatment? On an on-going basis we recommend wearing sun cream and skincare products to protect and maintain the skin health, your practitioner will recommend a regime most suitable for you, which will also help maintain the results. When will I see a result from my Déesse LED treatment? The Déesse Pro Phototherapy treatment is used as part of an overall skin health programme. When you use the Déesse Pro as part of a combined treatment you will see an immediate improvement in your skin after just one treatment. Specific skin concerns may require several visits to address, and for optimum continued results, regular sessions are recommended. The immediate skin improvements will last for several days and can be maintained by using our recommended daily skincare products. For optimal results clients should take a course of treatments, where regular visits will ensure that the health and appearance of your skin continues to improve.